Located at The Art Room, Ardrahan, Co. Galway. Weekly pottery classes and other one-off workshops. The FaceBook page has all up-to-date information on times etc. click here for a link to the page. 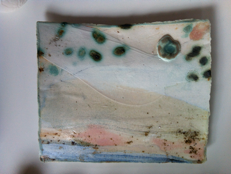 *Adult Pottery classes Regular drop-in sessions for adult beginners or those with some experience who would like tutor support and the space to create. All materials and firings (up to 1250℃!) included. 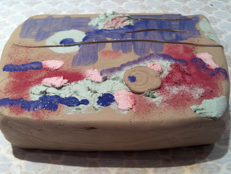 *Children’s Pottery Parties where your child and their friends can create their own clay masterpiece - the finished pieces will be delivered back to the host within two weeks. *ClaYoga regular half-day retreats to reCharge and reConnect to yourself. From the instant we gather in circle we focus on our bodies, then our hands and the clay material allowing the ceramic creations to ‘just come’. With some gentle technical guidance and a mindful approach you’ll leave the yoga studio (Flow Yoga, Clarenbridge) with a renewed sense of wholeness and contentment. The finished objects can be collect two weeks later.